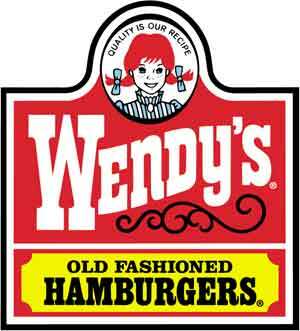 I have to say that I don’t think I’ve ever seen throngs of people line up for anything other than a rock concert! And on Saturday THE DOC ROCKED! 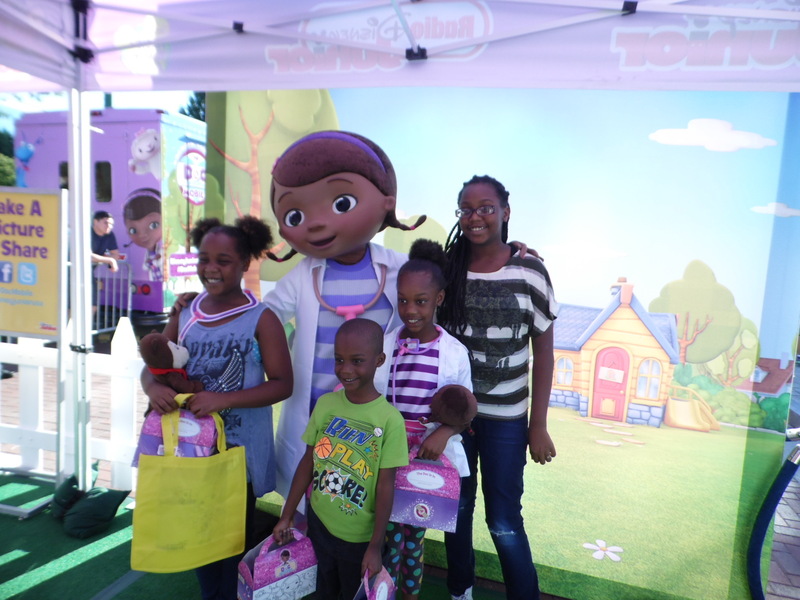 More than 5,450 Disney fans converged on Centennial Park Atlanta in force to see the Doc McStuffins Mobile and Doc McStuffins herself! 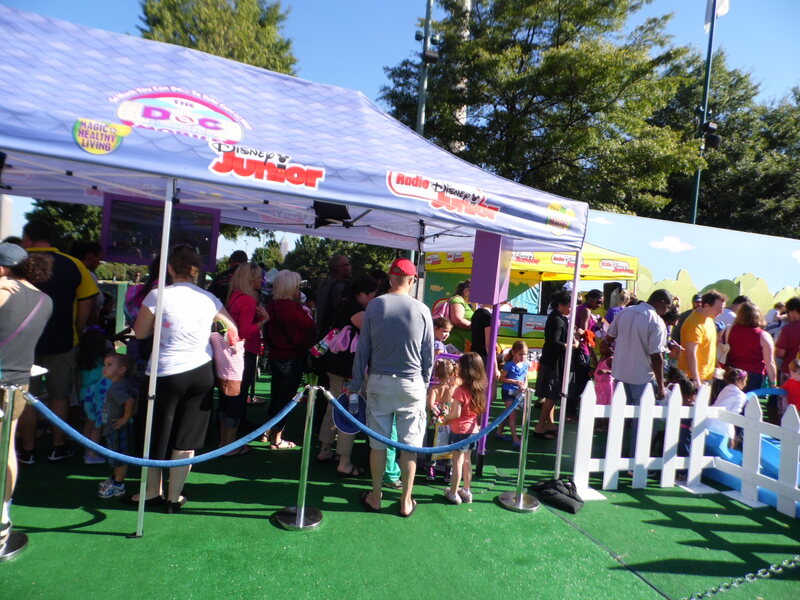 It was a phenomenon of epic proportions and so far Atlanta proved to be the biggest turnout for the widely popular Doc McStuffins 10-city Mobile Tour! 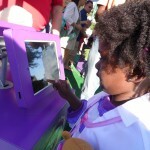 There were people of all ages, and nationalities, young and old lined up in the warm sun for the Doc McStuffins experience which included playing with the Doc McStuffins Mobile app at the interactive computer stations, jamming along with Radio Disney in the Doc Stretch & Flex area, meeting and greeting real-life women doctors from the Artemis Medical Society, playing in Stuffy’s Playground, cooling down at Lenny’s Hydration Station and creating a healthy balance plate at Doc’s picnic table. It was a wonderful sight to see little boys and girls of all colors flowing into Centennial park just to see the Doc up close and personal. It was life imitating art and Doc is a shero to so many little girls who want to continue to dream and believe they can be anything they want to be. 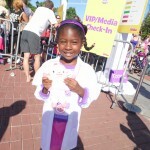 It was a beautiful thing seeing girls like my daughter Milan, dressed in their physician’s coats, looking like mini McStuffins and members of the Artemis Society. 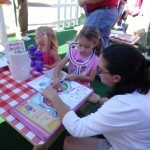 Kids were then able to round out their experience by hopping aboard the Doc Mobile to give their stuffed animal or doll a full checkup! And the Doc was IN! 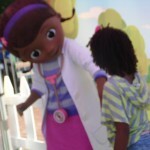 Doc McStuffins was at the end of the experience in an area where you could take pictures with the life-sized little girl we all love! This experience was amazing. 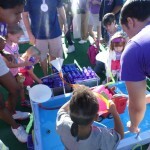 I am always impressed with how Disney puts things together and this event had Disney’s pixie-dust all over it. 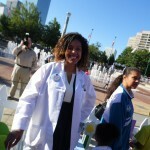 From entering the event through a door right out of the Doc McStuffins cartoon, to the interactive play stations to having white doctor’s coats ready for the kids to wear, each and every detail was well-thought out and allowed kids to feel like they were actual doctors for a day. 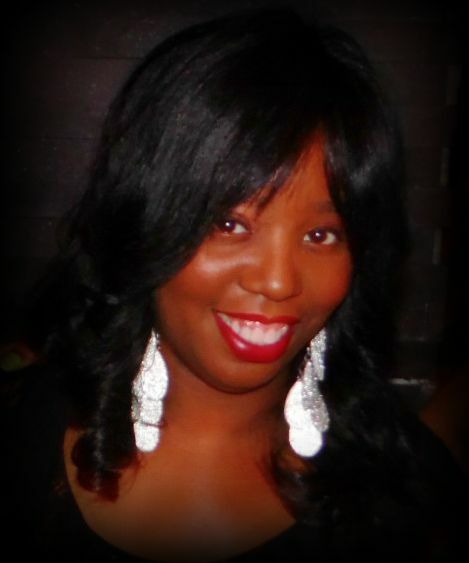 I also got the chance to interview Dr. Deonza Thymes, MD, one of the founding members of the Artemis Medical Society – a 3,000 member organization of women of color physicians. 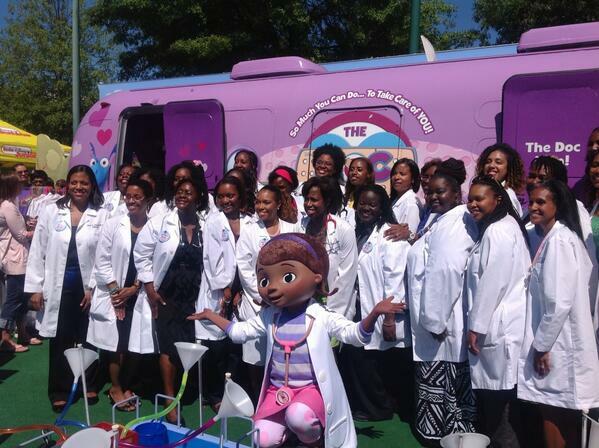 The Artemis Medical Society was formed in June 2012 by 12 American women after its founders saw a reflection of themselves in the “Doc McStuffins” character. 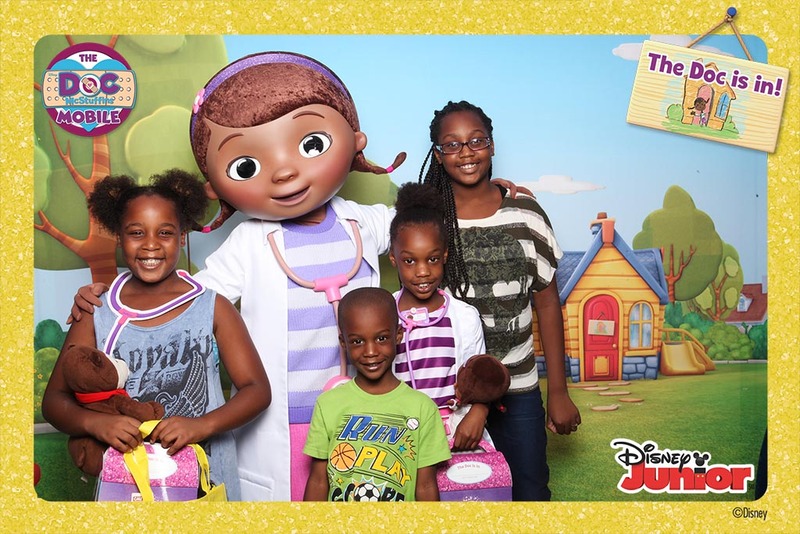 Check out the video below to view the whole Doc McStuffins experience! 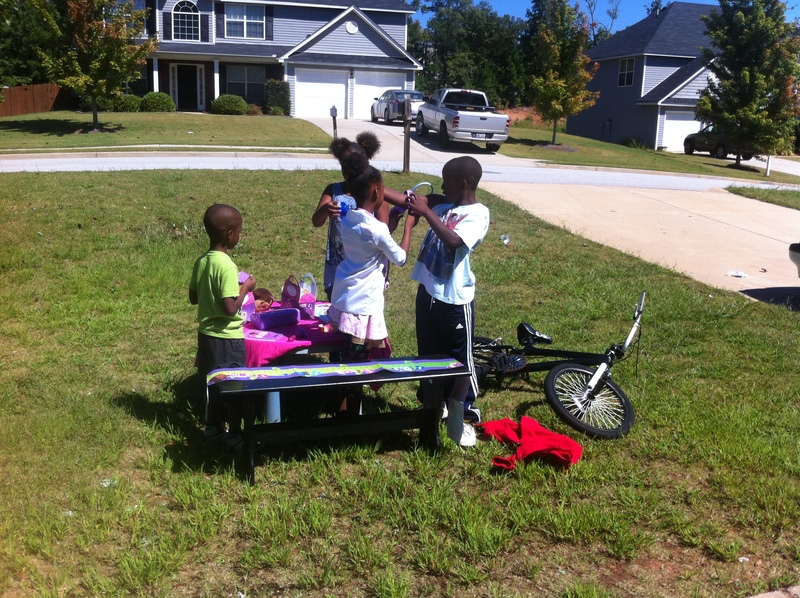 My kids are already experiencing what I call the “Doc Effect.” My daughter Milan set up a table outside our home after the event and invited all the neighborhood kids over to get a checkup.This movement is powerful and it proves that images that children see and are exposed to create indelible impressions that last a lifetime. 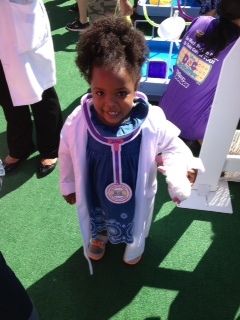 Ask my daughter Milan what she wants to be and she’ll tell you that she now wants to BE a doctor! She has all newest Doc McStuffins tools from the Doc McStuffins Doctor’s Bag I received from Disney and she was dressed up in the newest Doc McStuffins costume too complete with Doctor’s coat, striped shirt, name badge and headband. 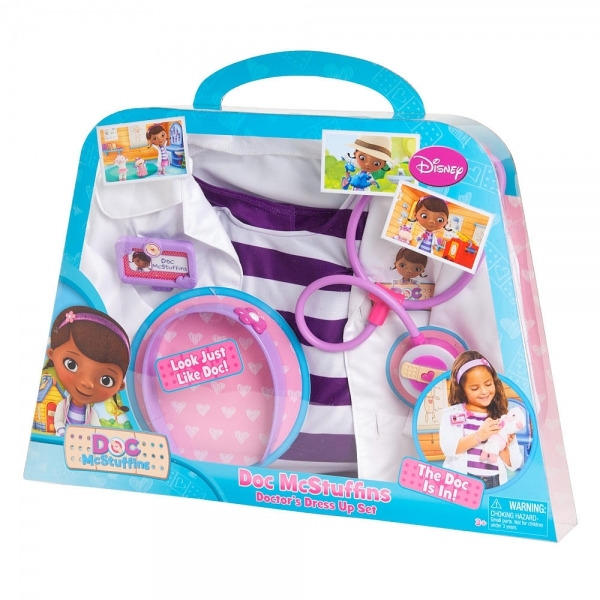 Plus sticker sheet featuring Doc McStuffins and friends! 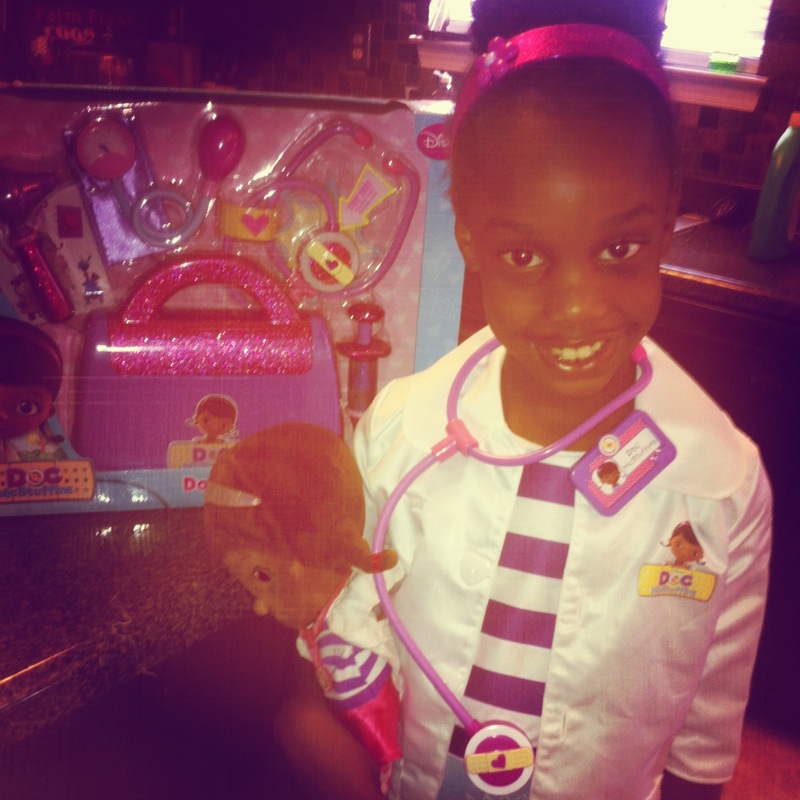 Milan loves the Doc McStuffins dress-up set and she’s been playing a doctor for the past week since we received the set! Here are the last stops on the Doc McStuffins tour! Disclosure: I was not paid for this post and all opinions are my own. 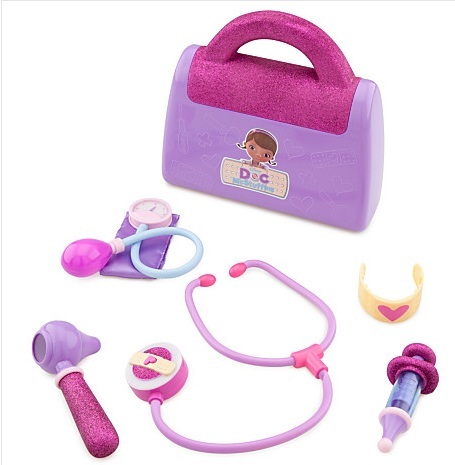 I was gifted with Doc McStuffins products. 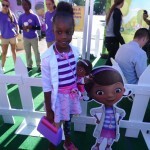 Thank you to Disney for VIP access to the Doc McStuffins experience. 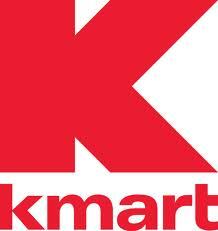 John Carter Sneak Peek TONIGHT! I love al the pictures you took. I love the image of the women in the white coats!! It looked like the kids surely enjoyed themselves. 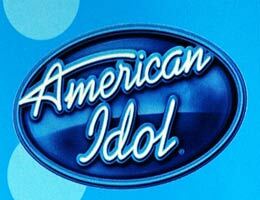 I didn’t bring my daugther but a small part of me wishes I did. 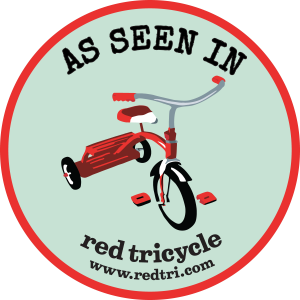 Awesome simply awesome!! What a great turn out!! Dr. Milan in the making. 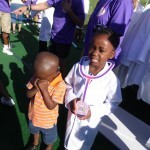 I love all thee pictures from the event. It is great that Doc Mcstuffin brought such a huge turn out.